We produce rattan furniture one piece at a time by hand. For this reason, it takes 30-70 days from order until delivery (shipping). *If you are in a hurry, please contact us prior to placing your order. 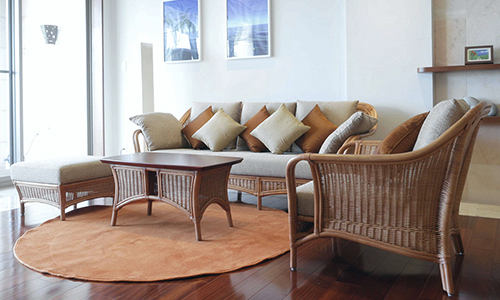 Please select rattan furniture products or products from the catalog. Please enter and send your desired product and customer information. If you desire changes to color or size, please state your demands in the Remarks column. Once we have received details of your order, we will contact you to confirm the payment amount(including delivery time and postage). We start manufacturing the product(s). We will contact you via e-mail once the completed product(s) has been shipped. Taxes and handling charges such as customs, etc. when purchasing products are all to be borne by the customer. *Customs, etc. vary depending on the country to which products are being delivered. For further details, please contact the customs house in the country to which your order is being delivered. Japan’s consumption tax: Products can be purchased as tax-exempt/without Japan’s consumption tax. Customs: Payment of customs may arise when goods are received. Such charges are to be borne by the customer. VAT (value-added tax): VAT may occur when goods are received. Such charges are to be borne by the customer. All of our products are made to order. It takes 30-40 days from your order until completion of manufacturing. After shipping, it will also take around 3-30 days until delivery. After we have received your order, we will contact you to confirm the delivery time. If you are in a hurry, please feel free to contact us prior to placing your order. In general, we do not accept requests for return or exchange of goods. In the highly unlikely event of some kind of defect in the product, if you contact us within 1 week of the product arriving, we will replace the product or make repayment. 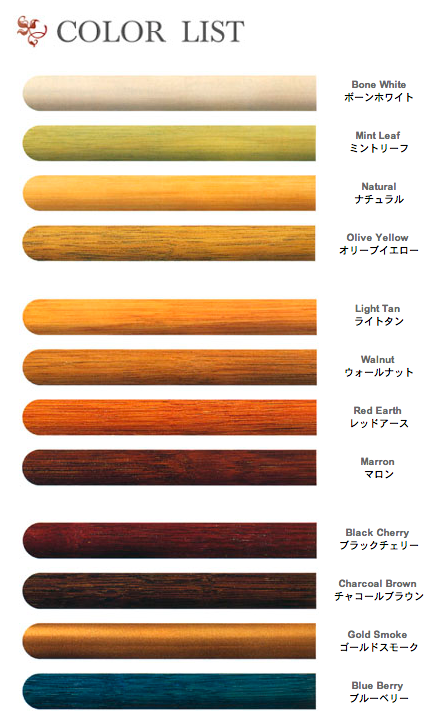 As rattan furniture is a product that uses natural materials, the tint and unevenness of color, etc. will vary from object to object. Please note that any requests for returns and exchanges due to differences in coloring will also fall under customer circumstances. We will customize products in terms of color and size, etc. to suit the demands of the customer based on our products. *A separate estimation will be sent to customers using the semi-order setup. *Please note in advance that custom manufacturing may not be available for some products. 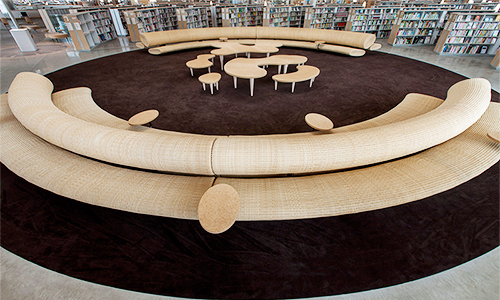 We will deal with changes to cushion fabric, weaving, printing, and patterns, etc. on our original products. We will make adjustments to meet your specified measurements based on our original product designs. 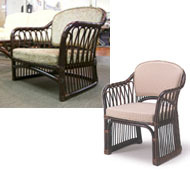 We also undertake completely original rattan furniture production exclusively for you. This is a field in which we specialize, based on our extensive experience. 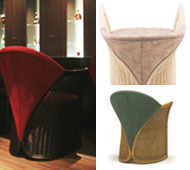 YMK Nagaoka takes consultations from design offices, interior coordinators, and designers. Based on our experience of producing rattan furniture over many years, we provide support for everything from the design stage to maintenance in producing various furniture pieces and interior parts using rattan. Please feel free to contact us. Our products are used in various spaces, including hotels, ryokan, restaurants, traditional Japanese restaurants, commercial facilities, healthcare/welfare facilities, and public facilities, etc.